Do you live in Scripps Ranch and have a bee swarm? Give the experts at D-Tek Live Bee Removal a call today! 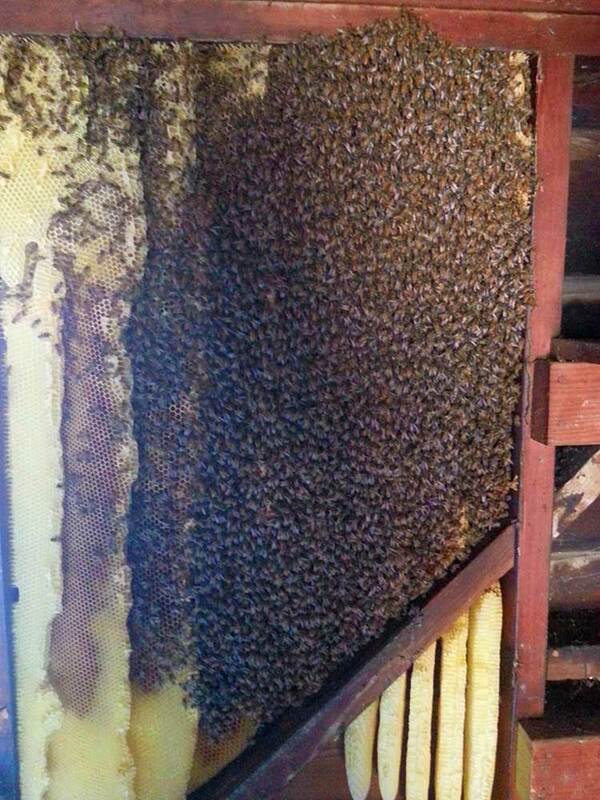 We can permanently solve your bee infestation issues, guaranteed. We specialize in the safe, humane removal of honey bees from homes and businesses in Scripps Ranch. We utilize a custom designed live bee removal vacuum system to safely, humanely remove the bees. After they have been vacuumed up we transfer them into a beehive box. We then drop them off to our own beekeeping farm in rural San Diego where the bees thrive and help our environment by pollinating nearby crops, orchards, and gardens. By having D-Tek Live Bee Removal take care of your bee hive problem you can be assured it will be taken care of in a timely and professional manner. Our technicians do a complete and thorough job with each of the above-mentioned steps. The most critical portion of the live bee removal process is the extraction of the beehive and honeycomb. Bees have a very good sense of smell. If any bee hive is left in the structure it can cause other bees and bee swarms in the area to be attracted to the same area of your home or business for many years to come. It may be a cheaper solution up front to hire an exterminator to deal with your bee problem. However, if you exterminate the bees and leave the associated hive and honeycomb in the structure eventually the honey can melt out and cause serious damage to your home or business. Damage can include stains on drywall, stains on stucco, damage to electrical wiring, damage to wood siding, and much more. Honey bees can start a hive in just about any location you can think of. Much of the time it is necessary to cut into a roof, stucco, siding, drywall, the floor of a shed, etc to fully remove all of the honey comb the bees build. Included with every price is any repair work that may be needed to your Scripps Ranch home or business. We also guarantee all of our roof, stucco, and siding repairs to be free of leaks. All of our drywall repairs are guaranteed to be free of defects and to blend seamlessly with the surrounding area. After the live bee removal has been completed and the associated repairs buttoned up it is time to bee proof the formerly infested area so they can’t get back in the structure. We also refer to this as bee control. We go over every vent, crack, hole, crevice in a 10 foot radius from the original hive entry/exit point. Using various methods and materials we ensure that the honey bees can’t reenter the area ever again. D-Tek Live Bee Removal also offers whole house or business bee proofing and bee control services in Scripps Ranch. One of our expert technicians will seal up every gap, crack, vent, and crevice honey bees could possibly wiggle their way through. If you don’t see the location you have a bee hive listed above don’t worry we can still remove from your Scripps Ranch home or business for you. Give the bee removal professionals at D-Tek Live Bee Removal a call today to schedule your free estimate and inspection in Scripps Ranch. Our direct number is 760-224-3040. If we do not answer just leave a message and we will call you back ASAP. You can also fill out the quick contact form on this website and we will be in contact with you shortly.